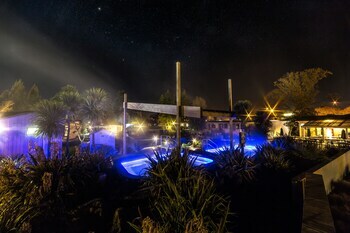 With a stay at Rotorua Top 10 Holiday Park in Rotorua, you'll be within a 15-minute walk of Kuirau Park and Rotorua Night Market. Featured amenities include luggage storage and laundry facilities. Free self parking is available onsite. When you a stay at Hananui Lodge and Apartments in Russell, you'll be near the beach, just steps from Russell Museum and Russell Christ Church. Free self parking is available onsite.